Quail eggs are abundantly and easily available in Brazil. We always relish the boiled ones that they serve at the salad counters in the restaurants here. I thought making pakoras with them will really be a nice idea to serve as a party snack. It was a real hit. They tasted delicious and looked cute too. Gram flour ..... 5-6 tbsps. Lime juice or vinegar ... 1 tbsp. Garam masala ........ 1/2 tsp. 1. Boil the quail eggs. 3. Mix the ingredients for the marination and marinate the eggs. Set them aside for at least 1 hour. 4. Saute them in a shallow pan with a little oil. 5. Mix the gram flour with baking soda, salt, ajwain. Make a thick batter adding water. 6. Heat oil in a pan and dip the prepared eggs in the batter and deep fry them to a crispy golden brown colour. Serve hot with any sauce of your choice. Thanks Premalatha.. do try this snack. delicious pakoras.. I am a great fan of quail eggs..
Wow the eggs makes me tempting.Love it.Is it good to take the quail eggs if so where do we get the quail eggs? 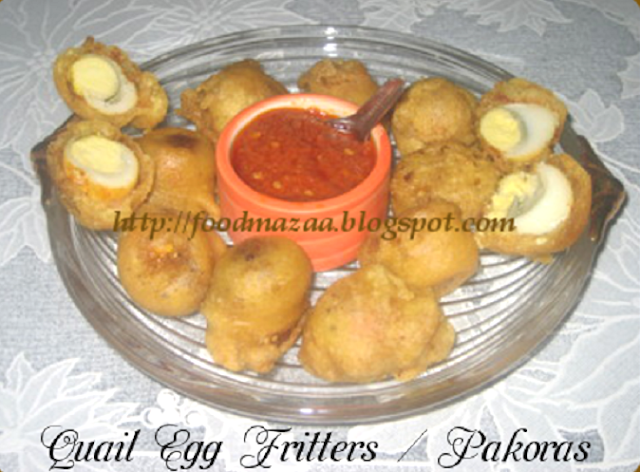 Pakodas with eggs looks fabulous,havent cooked quail eggs yet at home.. Wonderful presentation, tempting crispy pakodas looks fabulous.. 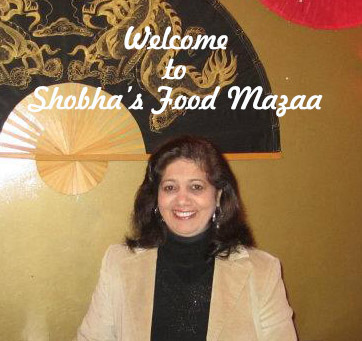 Thank u Shobha.Will try.It really makes me tempting to have.